Creative workers are increasingly called upon to engage affectually with their work through discourses that demand a love or passion for one’s work. In an organisational setting, these discourses can collapse the distance between selves and work, heightening the sense of personal meaningfulness derived from work. 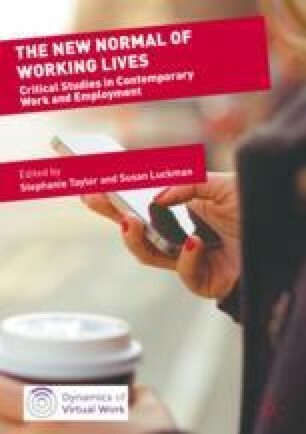 However, these discourses can also be used to discipline an organisationally desirable committed and engaged worker, disable workers’ attempts at distancing themselves. Studying the experiences of workers at a video game development studio, this chapter shows the affectual demands on workers and the difficulties of drawing boundaries between self and work. Rather than resulting in purely rewarding moments of personal meaningfulness, workers express feelings of pain, resentment, frustration, fear, anger, anxiety, and insecurity, regarding the relation between themselves and their work.